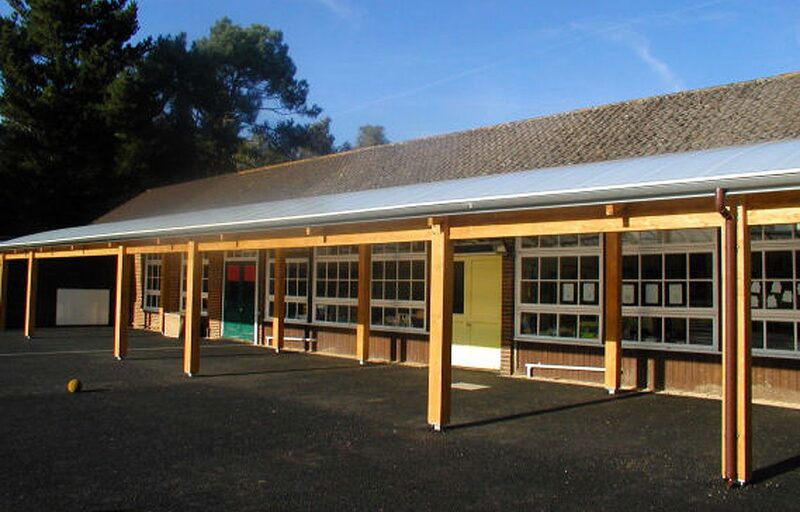 Mono-pitch timber playground canopy designed and built for St Matthews C of E Primary School. 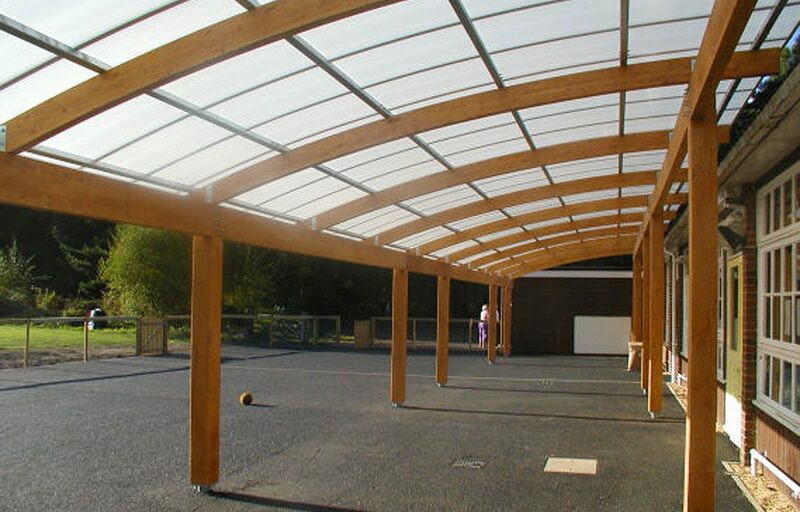 A timber playground canopy creates a sheltered play area while also shading the adjacent classroom building. The mono pitch structure is completed by a translucent polycarbonate system used to create a hard wearing roof covering for our canopies. 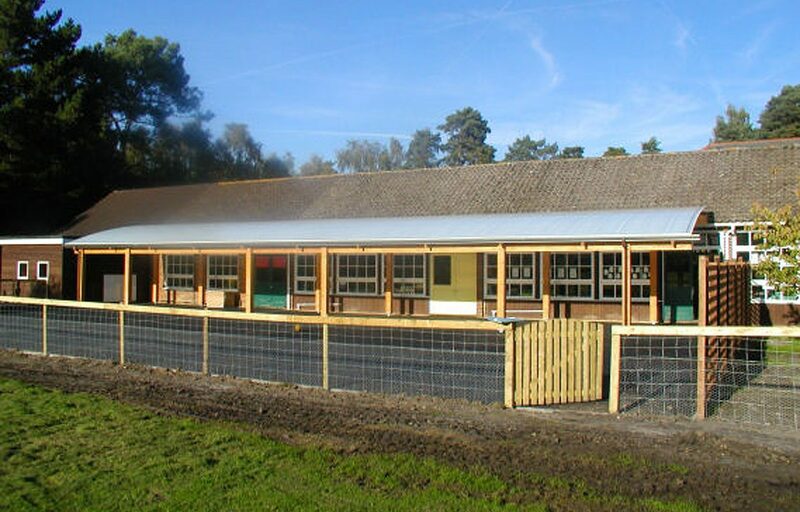 Attractive, durable and easy to install, the Polycarbonate system is designed for an endless range of glazing and roofing applications and extreme weather conditions. It is also known for its light-transmitting (32%) and reflective qualities. 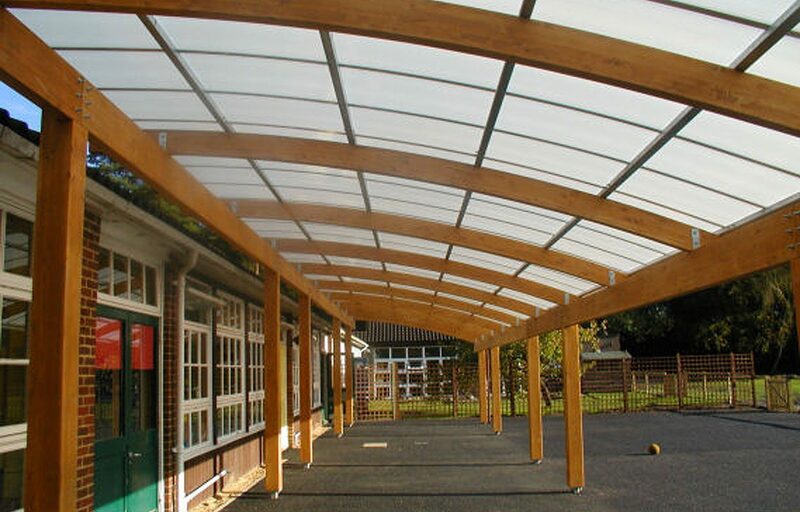 Roof: Hard-wearing translucent 16mm triple walled polycarbonate. This covering has an expected life of 15 years.